I have been doing some doctoring for a couple of things the past few months and it eliminated the fall fishing and bird hunting. I don’t think I missed that much for river fishing. The reports that I got were poorer than what should be at this time of year. There is no current in the river and the minnows didn’t run; nothing to bring the fish in. Diane is with Julie for a mother, daughter weekend and Jonathan is here to keep an eye on me and help put a few things away for winter. We didn’t hunt the weekend, just enjoyed socializing at the cabin along with some good meals. 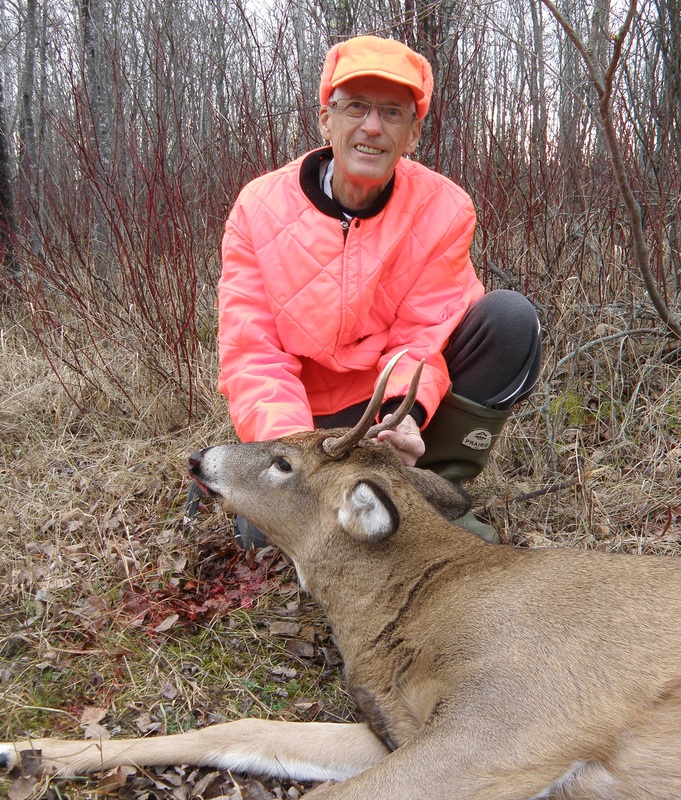 Terry got a doe early Saturday afternoon walking out to the stand and there is quite a story that goes with that, on how a big buck ended up being a doe. 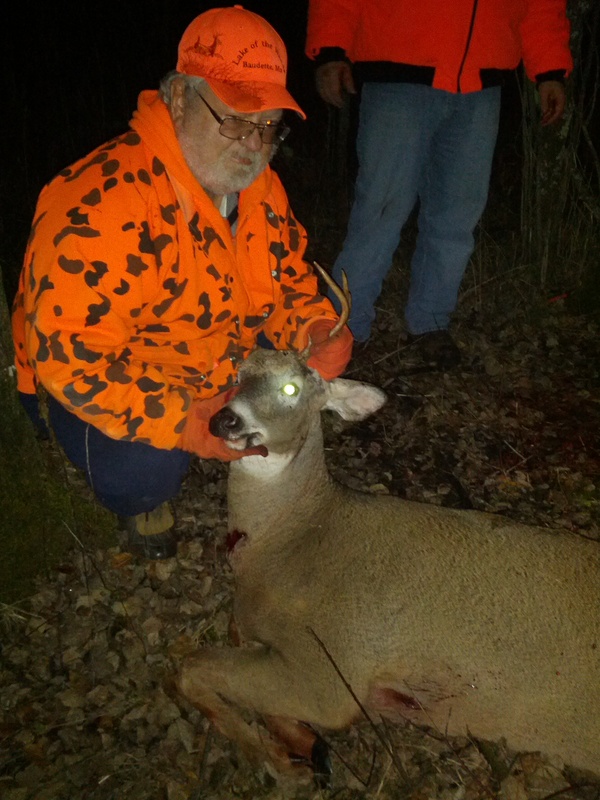 Gerry got a nice buck later Saturday afternoon. Wally and Nolan got blood on a nice buck Sunday morning and unfortunately it quit bleeding and with no snow there was no way to follow it. Dave, a new member of the group, kept sitting in the wrong stand and didn’t see anything until Sunday evening and then decided it was too small to take. On Monday, I asked Jonathan if he would like to go sit in the stand with me for an hour or so. I told him that it would be nice to have a spike buck come along, but anything else, we’d just try to take pictures. We were in no hurry to get going and got to the stand about 8:00 and just before the hour or so was up, here he comes. Now its pictures for me the rest of the season.